Hello all! I'm back again and more refreshed than ever! I even have a new, cleaner blog design. What do you think? 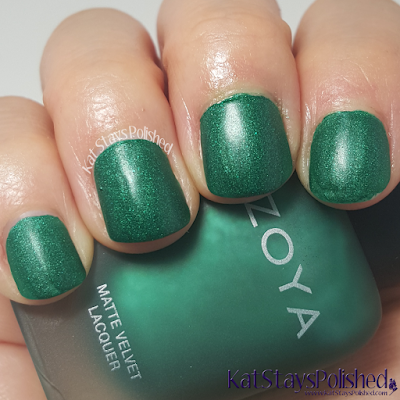 Anyway, today I have the Zoya Winter Matte Velvets - the ones that came out late last year. Who is stuck in snow? Luckily, I'm in FL where it's cold, but not snowy. If you are stuck inside the house, maybe these mattes will help take up some of your time. 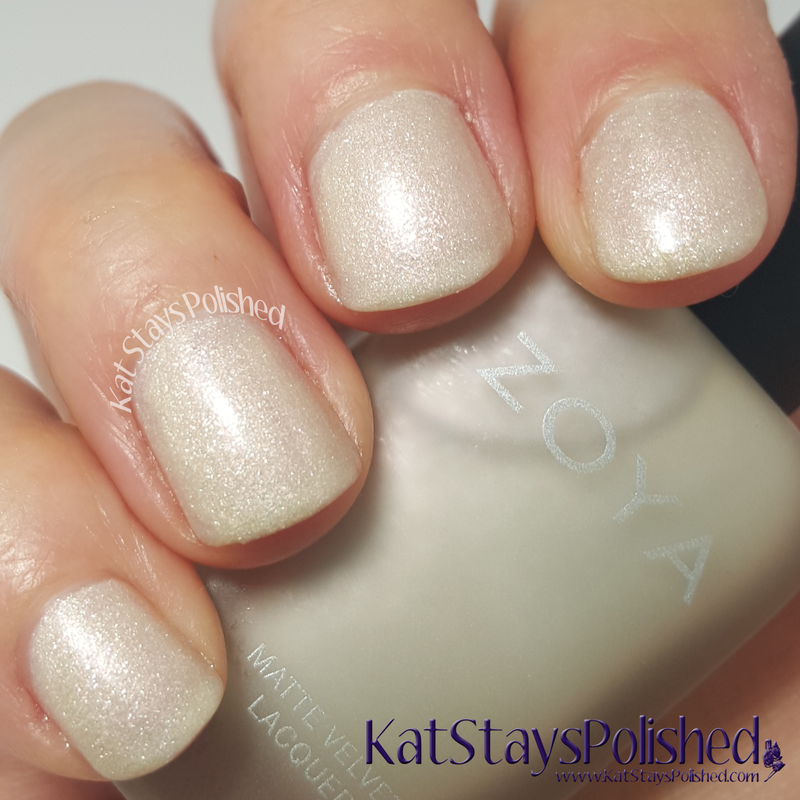 I loved the Zoya original set of mattes and these are just as good with a new twist of white. Sue is a matte champagne color and is super stunning. If you're looking for a soft, natural look and don't have time for a fancy mani, go for this shade. 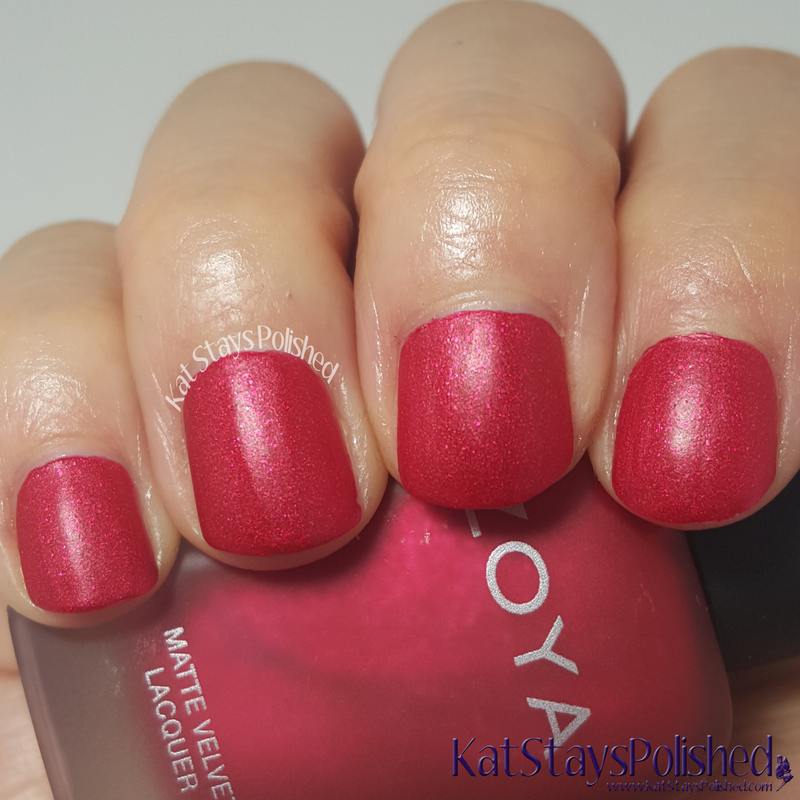 Since it's matte, it dries pretty quickly and there's no need for top coat. Shown in my swatches is 2 coats. 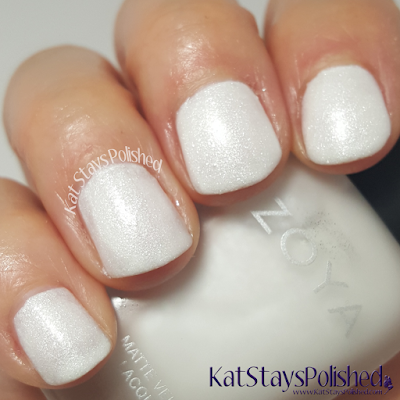 Aspen is a gorgeous white matte shade with a bit of shimmer. It looks like glistening snow, which I'm has (maybe) a little bit to do with its name. I applied 2 coats which allows just a glimmer of visible nail line to show through. You can add a third if you want to make this completely opaque. Amal is a great classic red shade with a hint of shimmer. Having this as a matte shade makes me feel a bit fancier when wearing it. It's like when you wear a matte red shade of lipstick and it stays on all night long - you just feel good! Shown is 2 coats. 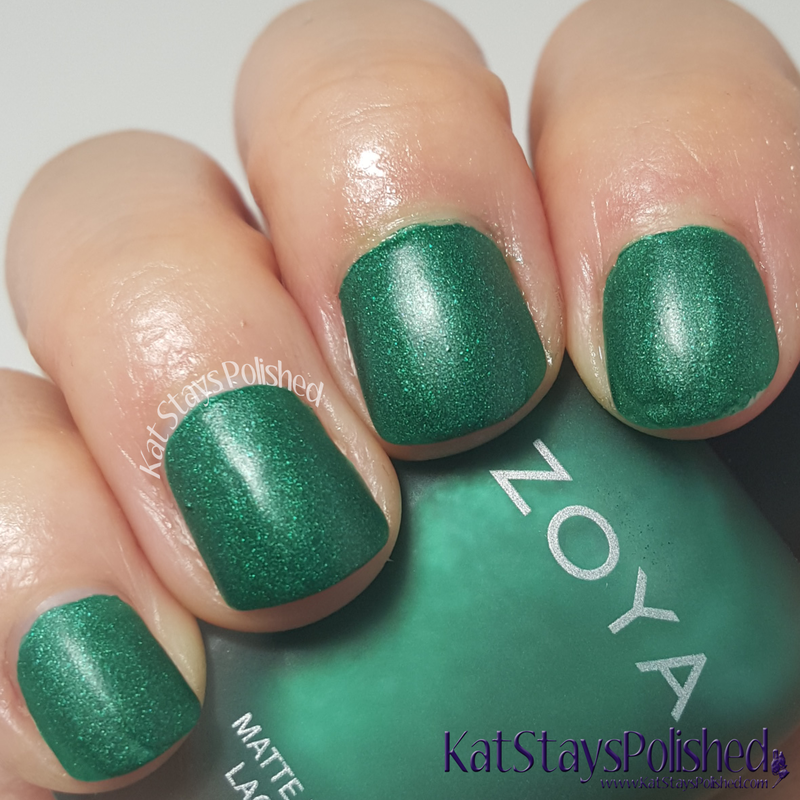 Honor is an emerald green shade and even though it is matte, it still reminds me of the Emerald City in Oz - that green glimmer just shines! Shown is 2 coats. 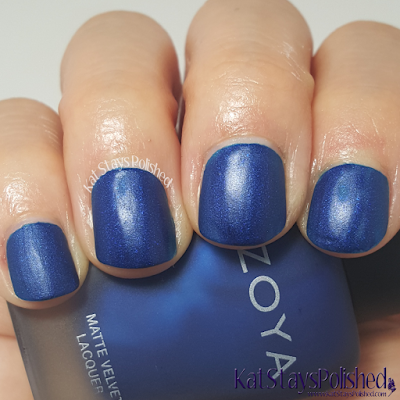 Yves is a gorgeous sapphire blue shade and really pops after drying to its matte finish. I am a big fan of blue shades and this one will be added to my list of favorites. Shown is 2 coats. Lastly, there is Iris. Iris is a deep amethyst shade that, again, really pops after it has dried. The matte finish really brings out the shimmer that's hidden in this color. Shown is 2 coats. So, I know I'm a bit late to this party but for those of you who have still not gotten these, what do you think? Again, I do love a matte shade every once in a while because they are quick to apply and they usually add a nice touch to whatever the occasion might be. 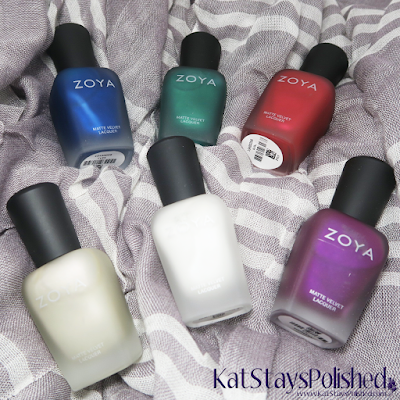 If you're interested in these shades, you can check them out on Zoya's website. They run for $10 a piece. Really nice colors from Zoya. The new blog design looks great too. I've been in love with this line of colors since they came out. They're so pretty. I normally don't like matte nail polishes but these seem to avoid looking flat! Sue is amazing! I am not personally a fan of matte's, but I do like Amal. Those are some stunning polishes! Very pretty colors. 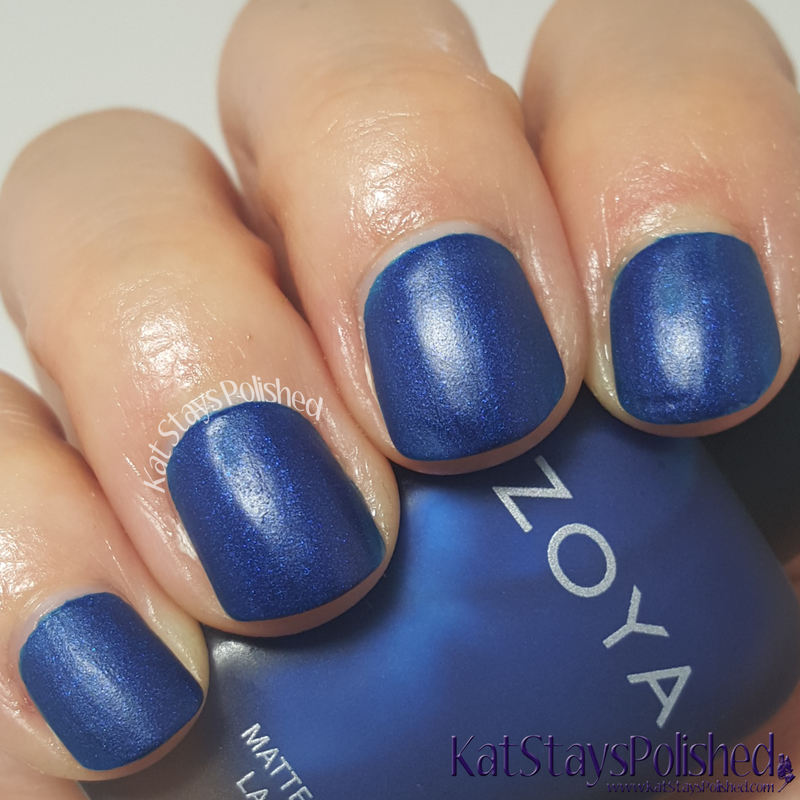 Whenever I've done a matte look I apply a shiny top coat a few days later. I picked up a few of these, and just tried Sue out yesterday. I love it! 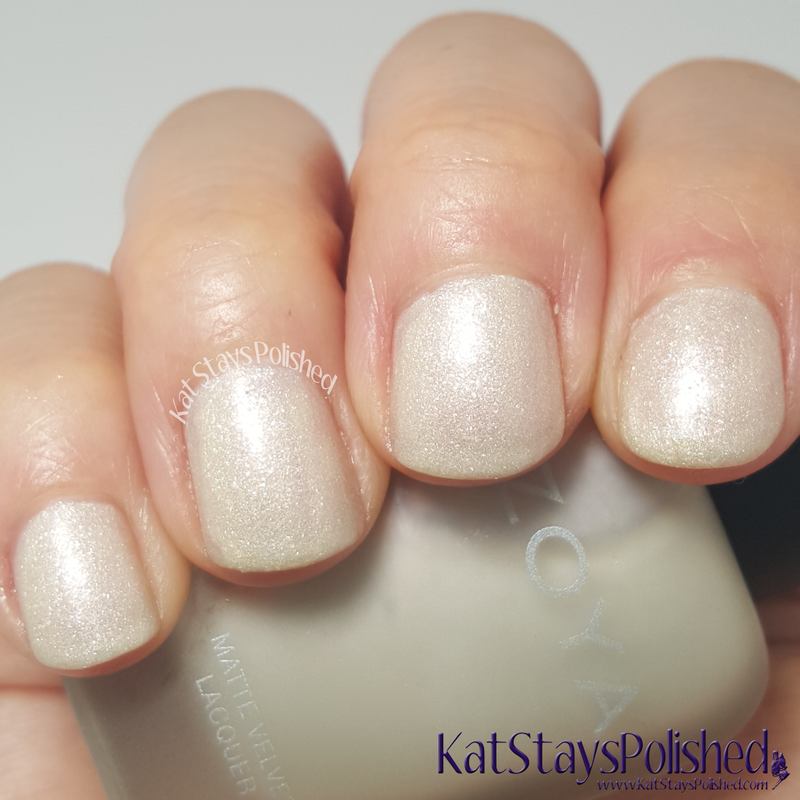 Such a beautiful finish that almost looks textured, and shimmers with a topcoat. I love the finish of this line. Yves and Iris are so pretty! I like the Matte Velvets for Winter, they are my kind of thing. Love what you've done with the place, it looks great!